Fuel physical & mental performance and muscle through energy slumps with great-tasting KetoLogic BHB Exogenous ketones. Deliciously refreshing apple and pear flavour. 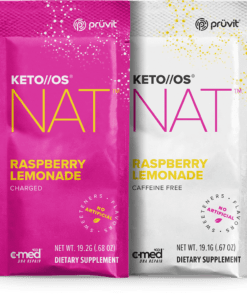 Control cravings and fuel your brain and body with all-natural Ketologic Apple Pear Exogenous Ketones a great tasting and convenient fuel source for anyone, including those on a low-carb or ketogenic diet. Drink KetoLogic BHB during those afternoon energy “slumps,” or to help fuel physical and mental performance.